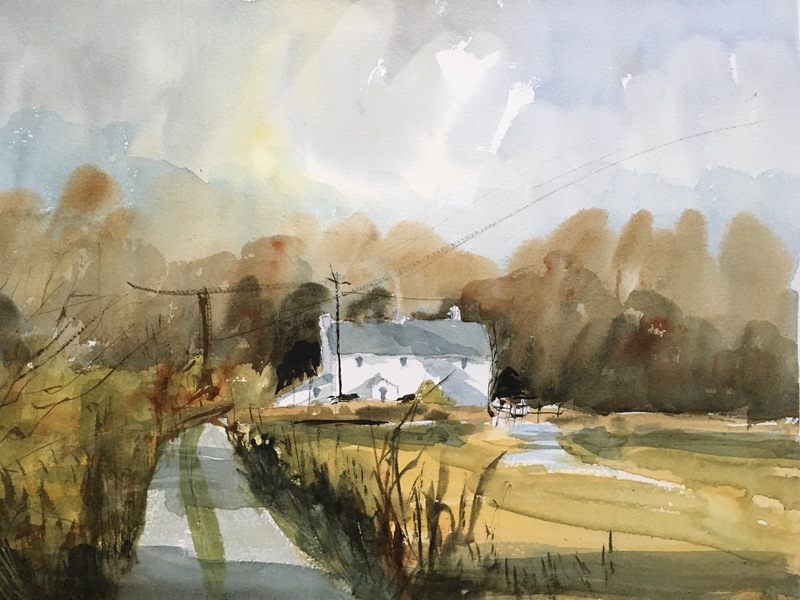 Beginning a series of paintings across and around Exmoor. Exmoor is an area of hilly moorland situated in West Somerset and north Devon . It is also the source of the River Exe, which gives it, and the city of Exeter, its name. Here are two hamlet/villages around the gateway to the moor; the little churchyard at George Nympton ( near the town of South Molton) and Bolham near the town of Tiverton. Here are two fairly local scenes. 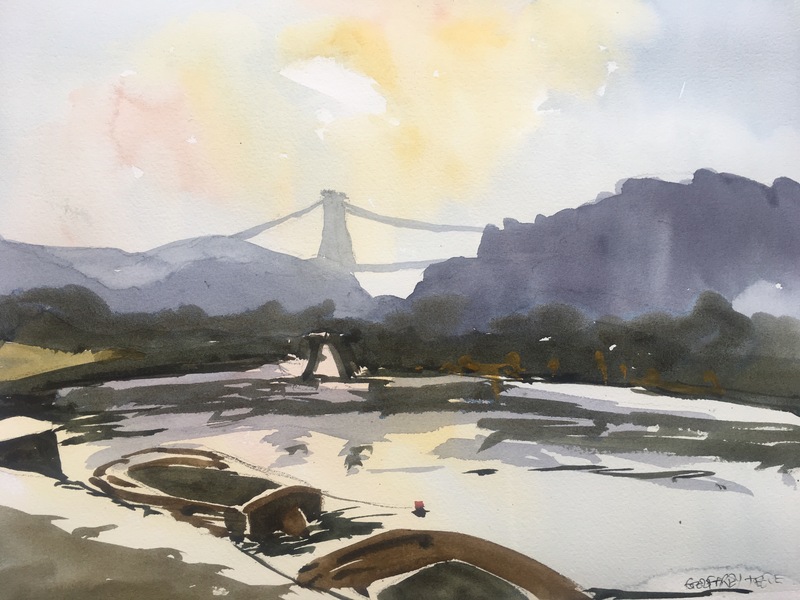 (1) a remote Exmoor cottage called Badgercombe ( John Hoar) took us there on one of his wonderful painting courses (2) one of my very favourite views of the Clifton Suspension bridge over the Avon Gorge at Bristol. I never tire of this view and it brings to mind my beautiful son, his wife and their two beautiful children who used to live in Clifton. I’m constantly striving to simplify my watercolours as much as possible. 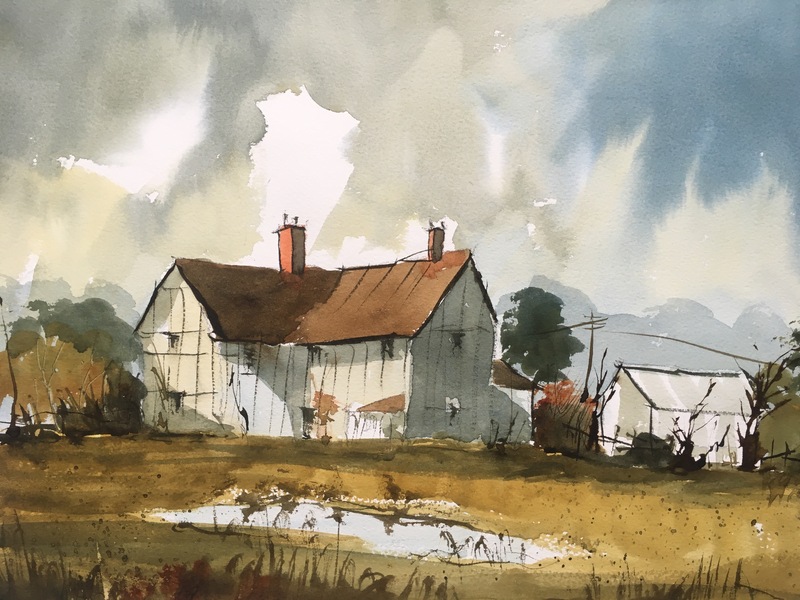 The great water colourists like Edward Wesson and more recently John Hoar produce such beautiful, fresh and simple paintings that they look easy. But they are not. To achieve simplicity in watercolour is one of the hardest things to do in painting. It requires a minimum of washes and you really have to know exactly what you are doing. If you need to ‘go over’ anything then you ruin it, essentially. 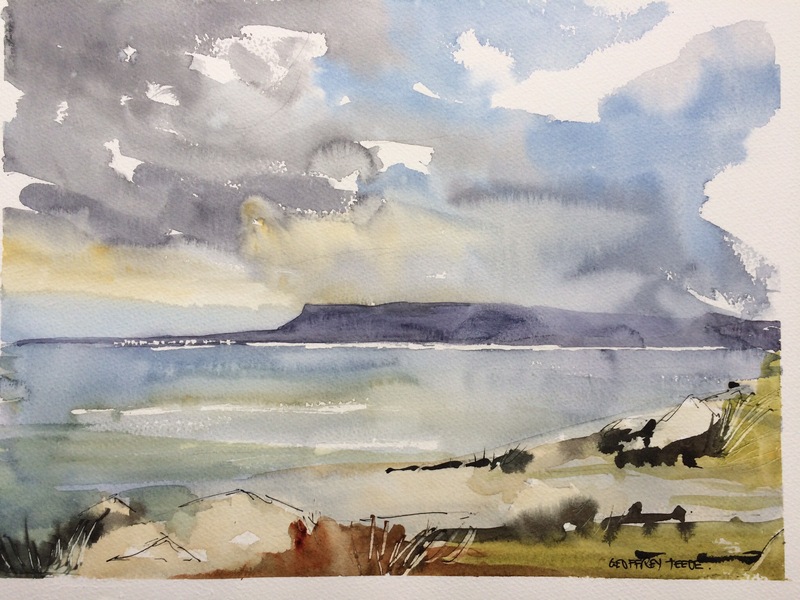 So I was quite pleased with this effort, which is a view of Benbulbin, a curious rock formation, in Co. Sligo. Ireland. Keeping the foreground interesting but very simple is the key.